The ultimate girl group of the eighties return for a night of pop hits and party anthems. Named the most successful female group of all time, Sara, Keren and Siobhan racked-up 30 chart hits and over 40 million sales between them. For the first time since their split, the original line up will reunite to perform hits like Venus, Cruel Summer, Robert De Niro’s Waiting… and Love in the First Degree. Maximum of 6 tickets per transaction. Bananarama is a British pop group who rose to fame in the 1980s. 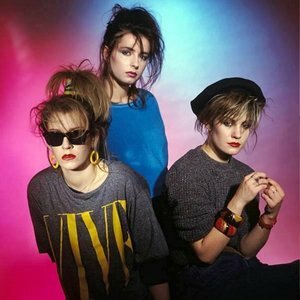 Originally comprising singers Sara Dallin, Siobhan Fahey and Keren Woodward, the group has released ten studio albums since their debut ‘Deep Sea Skiving’ came out in 1983. They broke (and still hold) the Guinness World Record as the all-female group gainingthe most chart entries in the world. They continue to release material, and have toured across the world as the reigning queens of UK pop. @SaraBananarama #bananarama congratulations, what fun, looking forward to seeing you all in Bristol @Colston_Hall in November. Strangely, I have been considering buying tickets to see Bananarama - they're playing Colston Hall. But £42 upwards!